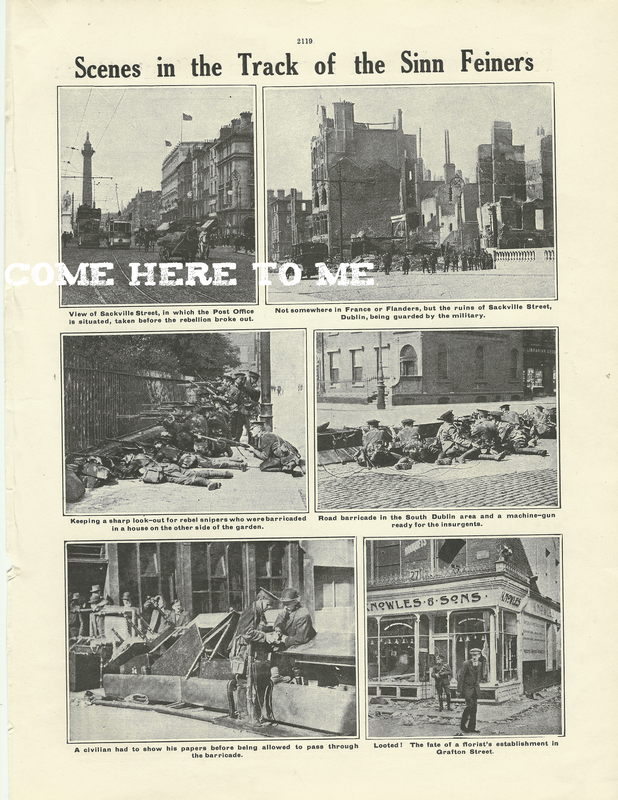 ‘The First and Last of the Dublin Revolt’ (Media coverage of the 1916 Rising) | Come Here To Me! Two interesting pages here, showing British coverage of the rebellion in Dublin. Notice that James Connolly is listed as “leader of the Sinn Féiners”. The pages come from my own family collection, and are an interesting insight into the way the rebellion was reported. I’d welcome information on the publication. Backed by a modicum of German gold (and German promises) several hundred Sinn Féiners attempted to seize the city by armed force, wreaking great damage to private property, and killing a number of citizens, including women and children. 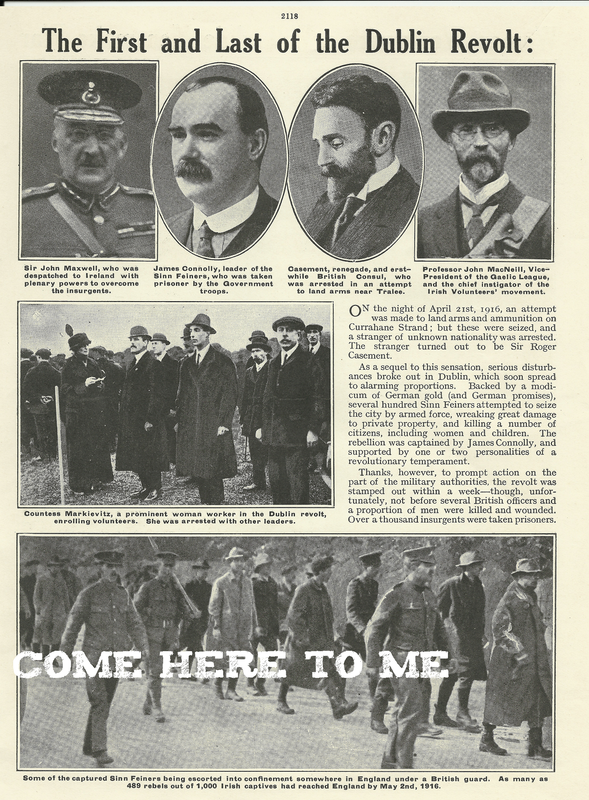 The rebellion was captained by James Connolly, and supported by one or two personalities of a revolutionary temperament. The second pages notes that these amazing scenes of damage are “not somewhere in France or Flanders” but rather Dublin. The image of a looted florists on Grafton Street is one I haven’t seen before.